As General Counsel of a dot.gone in the halcyon days of dot.com, I soon became aware that the company’s business model based on franchising was a dot.bomb. A business which was not even launched could either not meet the franchising laws of targeted countries or their franchising associations’ membership requirements. Since then, I have counseled many SMEs to wait until they are able to show that their businesses are viable before franchising. In Singapore, unlike USA or our neighbouring Malaysia, where there is no franchising law, the barometers to create a franchise are less clear. Much depends on your consultants and legal advisors. 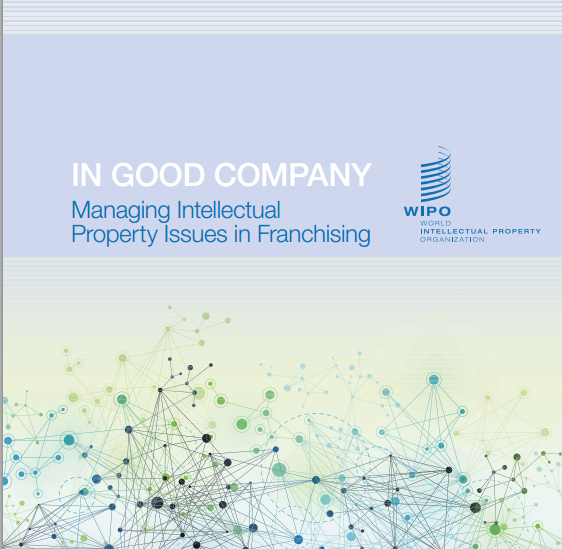 The World Intellectual Property Organisation’s (“WIPO”) publication, “In Good Company : Managing Intellectual Property Issues in Franchising”, is a welcomed guide. It is meant for potential franchisors, franchisees and managers of franchise businesses. This initiative by WIPO’s Small and Medium Sized Enterprises Division’s is apt as the heart of franchising is the licensing of franchisor’s Intellectual Property Rights. Though concentrating on Business Format Franchising, it reminds us that there are other forms of franchising, as well. They are:. 2. Manufacturing, Production or Processing Franchise. Ford and GM would be a product distribution franchise and Coca-Cola’s bottling and distribution agreement, a manufacturing one. “In Good Company : Managing Intellectual Property Issues in Franchising” guides you through the complex process of franchising, from its development to end. It takes a legal-business approach and includes tips on how to market a franchise. The publication is an easy read and provides many helpful tables and case studies. Singaporean readers may find it interesting to see Ya Kun in page 20 and 21 of the guide.